Award-winning butcher, Elite Meat, started out in 1999 through two brothers, Gordon and Andrew. As sons of a local farming family, both knew the value of good quality and locally produced Yorkshire meat. Since then, our shop near Harrogate has gone from strength to strength. We’re a traditional butcher catering for individual and trade customers. Andrew farms 140 acres of land in Kettlesing. He also manages a further 170 acres of land in the surrounding Harrogate area and is a national livestock judge. Andrew left the business a couple of years ago to concentrate on his animals, but still supplies us with amazing lambs & also helps out with sourcing the best animals from the best farmers. Come on in, have a look around! 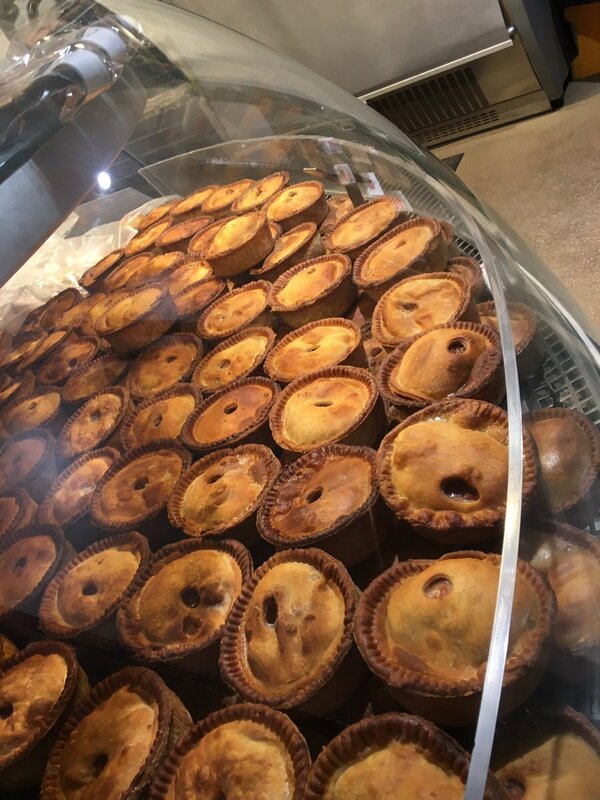 Our prize-winning national and regional meat, and our pork pies, bone broth and ready meals, derive from recipes that have earned us many coveted awards across the region and nationwide. We also offer cooking and butchery classes at our premises near Harrogate to anybody looking to improve their culinary skills. Our facilities are second-to-none and include a specially installed Himalayan salt meat maturation fridge, which allows our meat to dry age for a wonderful mouth-watering flavour. As a local Harrogate and nationwide award-winning butcher, we offer the best meat available with the highest nutritional value. Meat is sold alongside pies and sandwiches, which are served all day. We also offer our customers a bone broth which is especially popular with athletes, sportsmen and women, foodies, nutritionists and anyone in Harrogate wanting to improve the quality of their diet. Whether you want to use us for burgers, lamb mince or grass-fed beef, our aim is always the same; to serve you with the best meat in Harrogate and Yorkshire. No other butcher in our area has as many national awards as Elite Meat, a true National Champion Butcher. Not sure what you need? Please come & ask, we’ll be thrilled to help! To find out more about cooking classes or to order directly from a local National Champion Butcher, call 01423 883194. We cover Harrogate and all surrounding areas. We offer free local delivery within 5 miles of the shop. If you are outside this 5 mile radius, you can still place an order and use our click and collect service.